Am I being spammed? Is this a strange joke? Or do people actually get these kind of messages once they start doing their self-style snapshots? 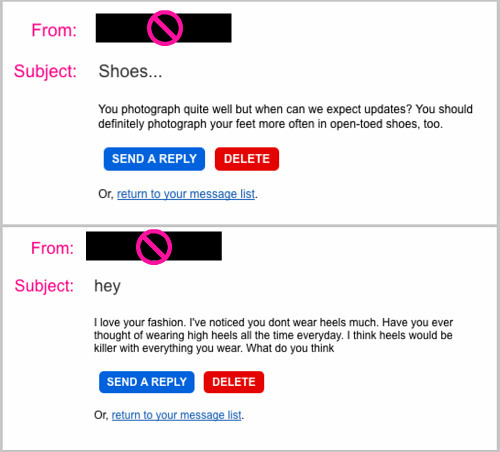 I don't plan on responding, but I do plan on keeping the messages in my inbox so I can laugh at them. Awkward!